There are two rounds of severe weather expected for today in the Southeast. The Masters Tournament in Augusta, GA has been suspended for the rest of the day due to the tornado threat. An earlier round of severe weather already occurred in GA and is ongoing southwest of Macon, GA. Another round, is still to occur in AL/TN/KY. It’s been awhile since the southeast has been so active, and yet another statistic to support La Nina as the signal for active seasons in Dixie Alley. This is the 2nd High Risk to be issued in 2017. Current CAPE values are over 3000 j/kg in parts of Alabama and South Carolina. 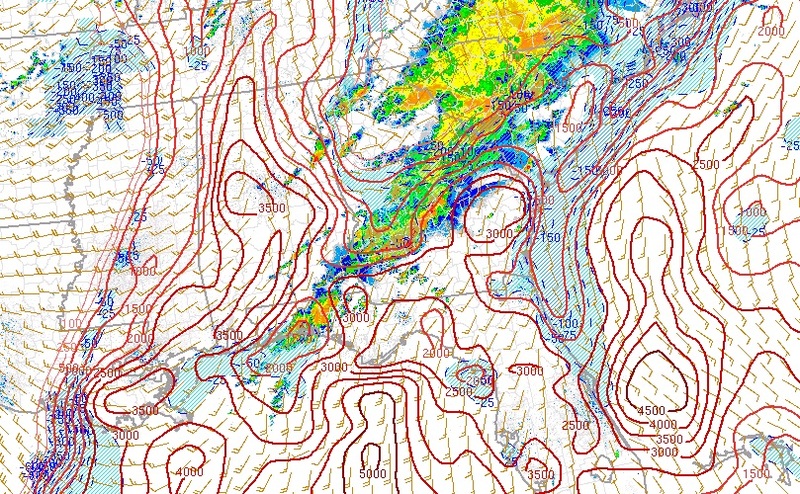 Coupled with adequate wind shear, moist boundary layer, and upper level ascent -the second round of severe weather has the potential for tornadoes. Here is the latest visible satellite loop for the area, note the developing CU fields in Tennessee and Alabama. Unfortunately 3 radar sites are down today in southern Georgia and western Alabama. This makes it especially difficult to issue warnings in the affected area. 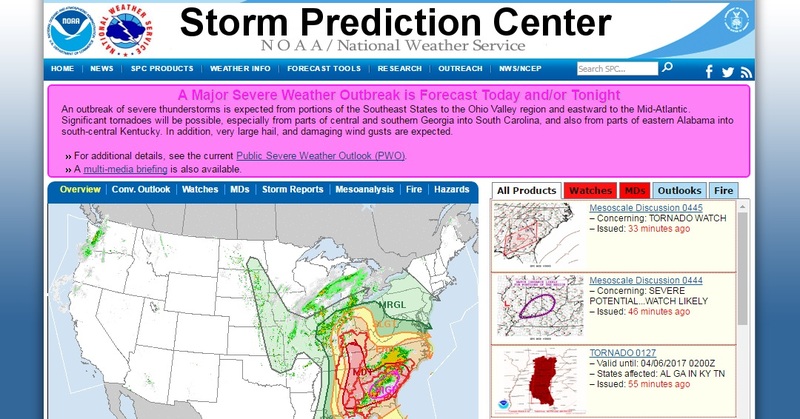 One of the best resources for today’s severe weather event is the Storm Prediction Center’s home page. 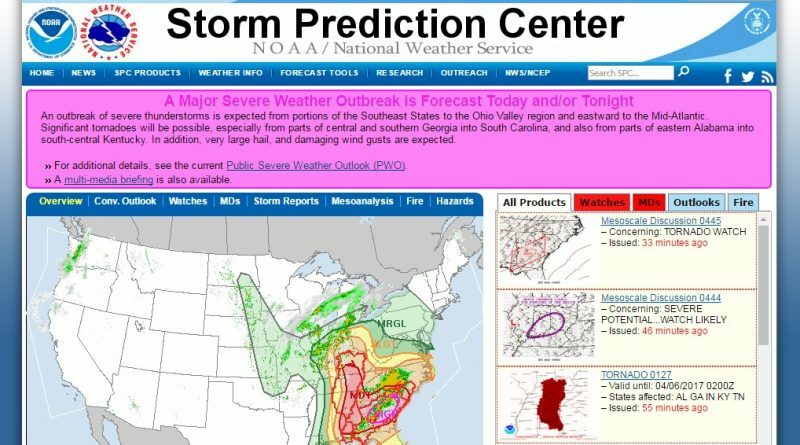 Be sure to heed warnings issued by the National Weather Service today and keep sheltering locations in mind.